With beautiful traditional styling and a rich dark finish, The “Norcastle” accent table collection takes sophisticated design to the next level. The rich brown finish flows smoothly over the exquisite detailing adoring the shaped legs supported by a beautifully shaped stretcher. An elegant cast metal filigree is beautifully displayed under a clear beveled float glass table top creating a sophisticated atmosphere. 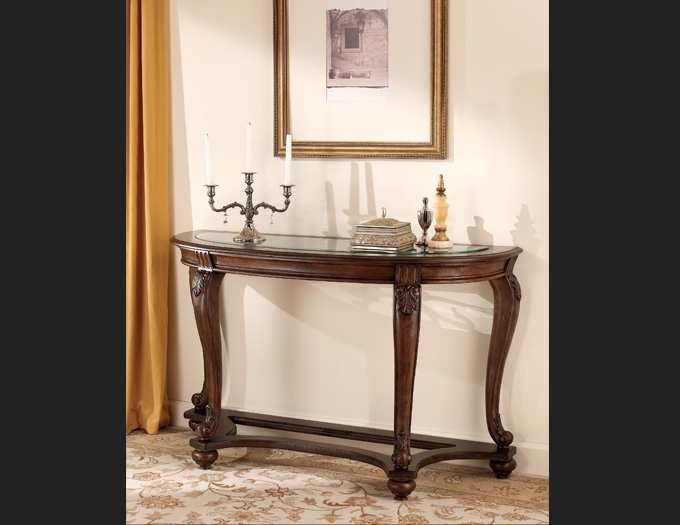 Enhance your home’s beauty with the elegance of the “Norcastle” accent table collection.